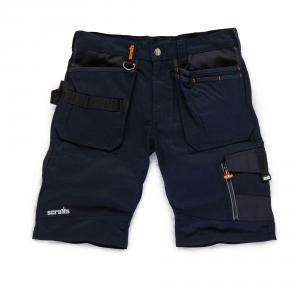 Remove This Item Size: 28"
Our high street inspired work shorts are suitable for light and medium industrial occupations. For light trade work, and for outdoor work through the hot summer months, our work shorts will keep you cool and comfortable throughout the working day – all whilst looking as good as possible. 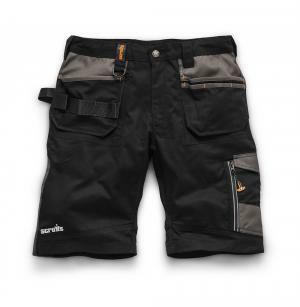 When designing our range of workear shorts, we looked to the latest fashions and trends for inspiration. We believe that our trade denim shorts look every bit as good as anything you’d find on the high street, as is proven by the fact that so many of our customers tell us that they choose to wear them outside of the workplace! Our dark wash lightweight trade denim shorts are as durable as they’re flexible. They’re available in a range of sizes, they offer a regular fit, and they’re reinforced in all of the main stress areas. Also, like all of our workwear, they’re loaded with useful features, including various useful pockets and a key loop. View our full range of high performance work trousers. And best of all, you get free delivery on all orders of work shorts over £50!